* We don't charge for our services or seats as we cannot put a value to your Judaism, and no one is turned away for lack of funds. 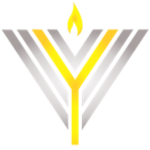 We encourage you to make a donation to Chabad of Yonkers to help cover the costs of the High Holidays and to support our ever expanding year round programming. While Chabad of Yonkers does not have membership, we do encourage voluntary partnerships. If you would like to consider being an annual partner of Chabad click here.